GDN Registry is nominated for best Registry of 2016. It is no surprise the .gdn has been climbing the ladder in past couple of months since its GA launch on March 7, 2016. .GDN also reached 200,000 registrations this month to add to the spike and buzz. It was a surprise nicely taken by the GDN Registry when it came to know that it has been nominated as the “REGISTRY OF THE YEAR”. The nomination consists of 9 other contenders. The nomination process was handled by THE DOMAIN CONFERENCE. Nomination forms were sent out on Facebook, blogs and subscribers of the domain conference as we are being informed by them. The article below gives all the details. It was published here. 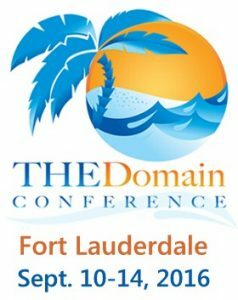 When THE Domain Conference (TDC) returns to Fort Lauderdale, Florida next month show organizers will again hand out their annual Domain Industry Awards. Winners in nine categories are selected in industry-wide voting and anyone can now cast one ballot. The final ballot, released this morning, includes all of those nominated in an open call for nominations last week. (Armor Payments is an escrow company that has been enlisted to serve as an independent 3rd party vote counter). The winners of each of the Awards will be announced at THE Domain Conference Keynote and Awards Luncheon on Tuesday, September 13th. Copyright © 2019 www.nic.gdn | All rights reserved.